The RTE Summit is focused on the day-to-day context of the RTE with a program full of engaging presentations and cases. 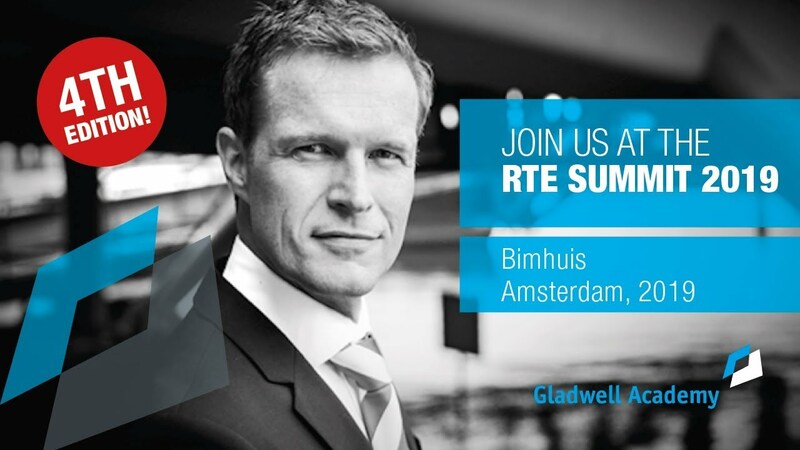 BIMHUIS Amsterdam, a concert hall with a great view over the IJ-lake is the inspiring location for the RTE Summit. Opportunities to interact and discuss RTE-related topics on a personal level. How to finance as a Release Train Engineer? Despite having fond memories of the successful wrap-up of RTE Summit 2018, Andres Jansen is certain that this year’s edition on 13 November of 2019 will be even better. “We’ve learned a lot from last year – from what added to the experience as well as from what didn’t.” Theme for November: financing the RTE. RTEs: this one is for the money! Martin Hofman is a freelance Agile Controller, advising and supporting large companies such as KLM Royal Dutch Airlines and Schiphol Group to set up and optimize Agile budgeting and value management. Before focusing on Agile Controlling, Martin has gained 12 years working experience combining Finance and change management for various companies in the travel and infrastructure business, such as ProRail, Liberty Global and Imtech. Andres is SAFe Program Consultant Trainer Candidate (SPCT) and thought leader ‘Agile in Control’. He inspires controllers and auditors in leading enterprises like Schiphol, AirFrance and national financial institutions, with his framework to improve grip, defining Agile-KPIs and Transformation Dashboards. His background as HW-engineer, BI-developer and intensive work with change-guru Ben Tiggelaar, helps him to adapt, to master complex situations and to secure support in workshops and Agile transformation programs. He is founder/host of the yearly RTE-Summit and qualified to teach and examine all Scaling Agile training courses: SAFe Agilist (SA), SAFe Practitioner (SP), SAFe PM/PO (SPMPO), SAFe Scrum Master (SM), SAFe PM/PO (PMPO). He is also certified LeSS practitioner and qualified to teach and examine Agile Scrum Foundation. As a trainer, Hanne likes to motivate people to act with their whole being instead of only from a mental point of view. Due to her background in performing and teaching theatre, she likes to challenge people to show who they really are. Hanne is able to see peoples’ interactions on multiple levels and she is very interested in group dynamics. She believes each individual has its strength and she is convinced that you can accomplish more as a team. Hanne is qualified to teach Professional Product Owner (PSPO1) and Professional Scrum Master (PSM1) from Scrum.org. He is certified SPCT (SAFe Program Consultant Trainer), Agile Master and is a wellknown Agilist in the community. He has written the top100 book in Holland on Scrum: “The power of Scrum”, which has been translated in 4 languages. Eelco has been at the front of the Agile community for more than 15 years now. He has helped Philips in its transformation to Scrum and Agile, where he worked with the Agile Center of Excellence and trained more than 1000 people. Currently Eelco accompanied an Agile/SAFe transformation at Air France KLM. With an impressive list aimed at large businesses, (senior) management and program/project management, Eelco is renowned for his Agile workshops. He is also known for giving speeches at both company and open events. Recent events include: CIO Day in Holland, ALE2011 in Berlin, JFall in Holland diverse business events at Rabobank, Agile consortium, Nationale-Nederlanden, Essent, Achmea SAP, and XPDays(Madrid). Eelco is an Agile management thinker, program manager for change programs and creative thought leader for Agile practices, principles and behavior. His ability to change mindsets alongside process and structure is valuable for any large change program. Since July 2017, Eelco is the first Dutchman to be accredited as an official SPCT. This allows him to train SAFe Program Consultants (SPC4). The BIMHUIS is a venue for pioneering musicians of all generations, from both the local and international scene. With over 300 concerts each year, their program offers a comprehensive overview of new developments in jazz, improvised music and many other genres, including world music and electronic music. Line 26 Centraal Station / IJburg. Your stop is Muziekgebouw / BIMHUIS, the first stop coming from Central Station direction IJburg (Tram 26). Be part of the RTE journey and join us in 2019 as an RTE or STE. As the role evolves, the RTE community is also growing. In a 3 year timespan the Summit, the event for RTE’s, got bigger too. Reserve your seat now! Join us in Amsterdam for 2 days of networking and knowledge sharing.